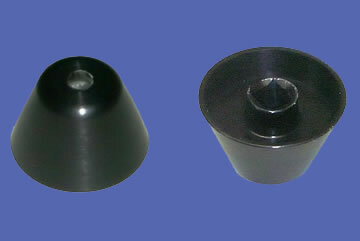 This is a top and bottom view of a new black anodized aluminum mirror adjustment knob. 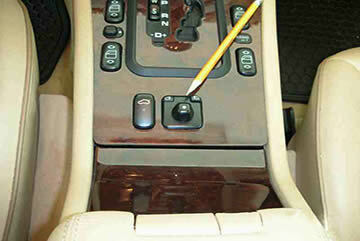 This picture shows the repaired mirror adjustment knob. Our replacement is simply inserted over the original control shaft. The fit and finish is a perfect match to the original equipment, however, this knob is virtually indestructible!